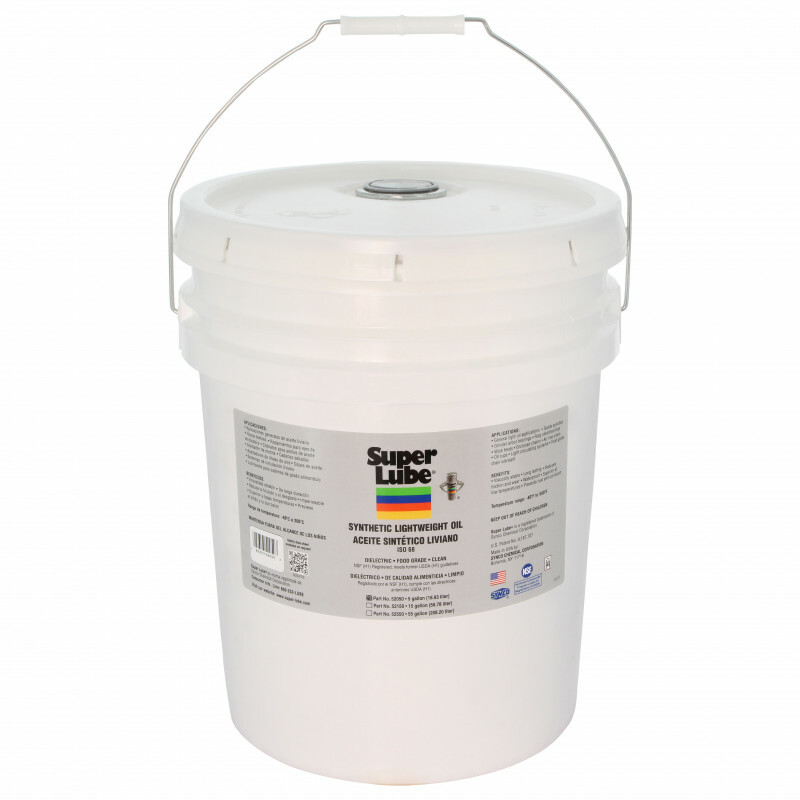 Super Lube® Synthetic Lightweight Oil has a lower viscosity than Super Lube® Oil with PTFE and should be used in place of conventional 8 –10 cSt oils. It is ideal for misting, dripping, spindle oil applications, and as a food-grade chain lubricant and rust inhibitor. Although Super Lube®, in either the aerosol or grease form, satisfies most of the general lubrication requirements of industrial equipment, machinery and tools, there are applications that are better served with lighter, pourable oils of various viscosities. Super Lube® oils are blended to answer these needs. Super Lube® oils are specially blended, high quality, synthetic (Polyalphaolefin) lubricants that share with regular Super Lube® the added advantages of Syncolon® in suspension. Blended in weights from ultra-light to “gearbox”, these oils are non-toxic, have low volatility and pour points, have high flash and fire points, and exhibit excellent thermal stability and resistance to oxidation. Anticorrosive, these oils will not form harmful abrasive platelets while in use. Unlike conventional oils to which PTFE has been added, the PTFE in Super Lube® remains in suspension. Super Lube® oils are also offered without PTFE for low viscosity, air tool, hydraulic or gear oil and direct food contact applications.